The CPMR and its member regions have reiterated their priorities regarding post-2020 EU transport policies to the European Commission and the European Parliament. 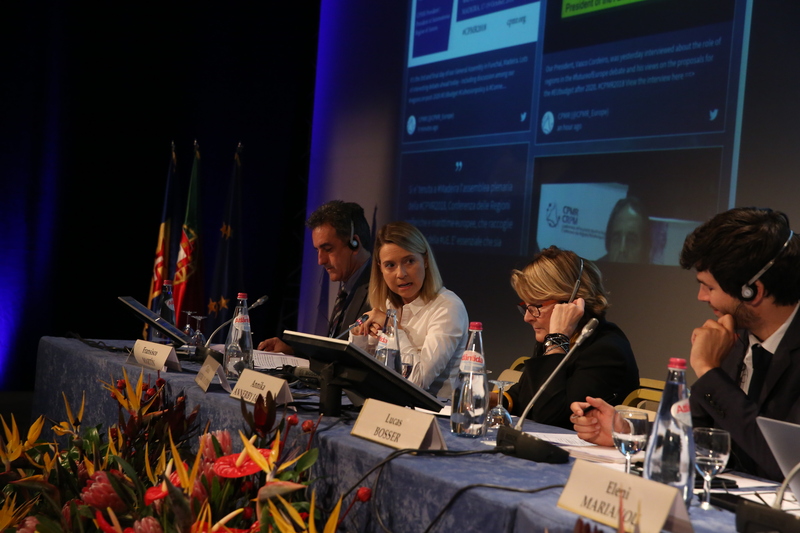 During the Accessibility discussion on the second day of the CPMR’s General Assembly in Madeira, the CPMR presented its key principles regarding funds supporting accessibility and transport infrastructure. The messages were debated by a panel involving Annika Annerby Jansson, CPMR Vice President in charge of Accessibility and Vice-President of Region Skåne, Francisco Martín, Regional Minister from the Government of Cantabria, and José Luis Ferrando Calatayud, Secretary for Housing, Public Works and Spatial Planning, Valencia. They were joined by MEP Cláudia Monteiro De Aguiar, Member of the European Parliament’s Committee on Transport and Tourism (TRAN), and Jean-Louis Colson, Head of Unit, in the European Commission’s Directorate-General for Mobility and Transport (DG MOVE). Beginning the discussion, Annika Annerby Jansson, outlined the CPMR’s position on the post-2020 Connecting Europe Facility (CEF) regulation, published by the European Commission in June. She explained that DG MOVE’s proposal for the regulation contains several improvements, such as the high priority given to sustainable and smart transport, increased finance for the TEN-T comprehensive network, and several new alignments in the corridors in the Atlantic, Mediterranean and Baltic. However, she expressed concern that this instrument will be limited to around 2% of the EU budget, despite the need for infrastructure to improve the accessibility of peripheral and maritime regions. Claudia Monteiro de Aguiar stressed the importance of accessibility and transport, not only for the EU Budget, but also for economic and social cohesion. She said that Europe is a constantly evolving project that is currently facing difficulties. She said: “We must therefore remain united and put in place the instruments necessary for the proper balance of regions, taking into account their disparities”. The MEP said that she had tabled 17 amendments to the European Commission’s proposal for the CEF after 2020, calling in particular for better co-financing rates for the outermost regions, a specific fund for outermost projects, and outermost regions to be included in the main transport nodes. Jean-Louis Colson explained that the Commission intends to take peripheral maritime regions into account in the ongoing EU Budget negotiations and will continue to do so in relation to the revision of the TEN-T regulation. He mentioned the potential for better recognition of the territorial cohesion dimension of the CEF, better recognition of islands and/or outermost regions, and for a larger part of the CEF to be devoted to the global network. 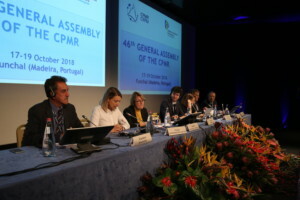 Regarding the revision of the TEN-T Regulation, as requested by the CPMR, he said the Commission will evaluate the possibility of making the Motorways of the Sea (MoS) eligible for the CEF between two ports in the global network, or a port in the global network and a port in a third State. 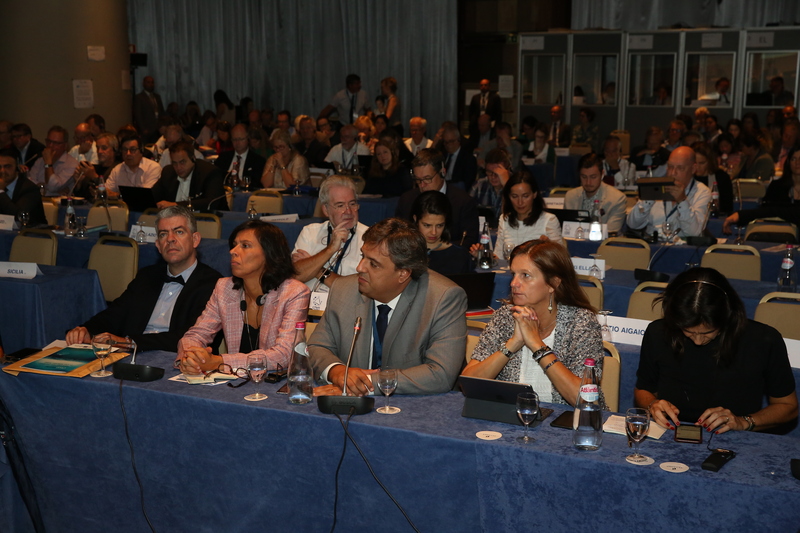 Francisco Martin stressed that the CPMR and the Atlantic Arc Commission (AAC) have always defended the principle of accessibility and connectivity for all regions in the European Union, which is one of the objectives of the TEN-T. He noted the successes achieved in the previous programming period achieved thanks to the CEF but said this has focused on the nine priority corridors in the central network. He stated that the future CEF should not forget off-road transport projects which also contribute to improving the accessibility of peripheral maritime Regions and to a better territorial cohesion. He also explained that the Cantabrian-Mediterranean railway corridor project is essential for the development and improvement of the competitiveness of its region and neighbouring regions. José Luis Ferrando Calatayud stressed that transport is an essential factor for the EU economy. The EU must contribute to the implementation of new and adequate territorial policies at local, regional and European level to prepare our territory for an environmentally sustainable, socially responsible and at the same time globally competitive economy. He highlighted the importance of the Mediterranean corridor which directly impacts on his region, Valencia and travels from Algeciras to the eastern border of Europe. Finally, he stated that for the Valencian government, the extension of the central network of the Mediterranean corridor with the Valencia-Madrid and Sagunt-Zaragoza links is a priority in the revision of the TEN-T.